The expansion will add a new concourse and four gates to the existing terminal. Image: courtesy of FSB and HOK. The design of the terminal expansion focuses on building structures that will bring in more natural light. Image: courtesy of FSB and HOK. 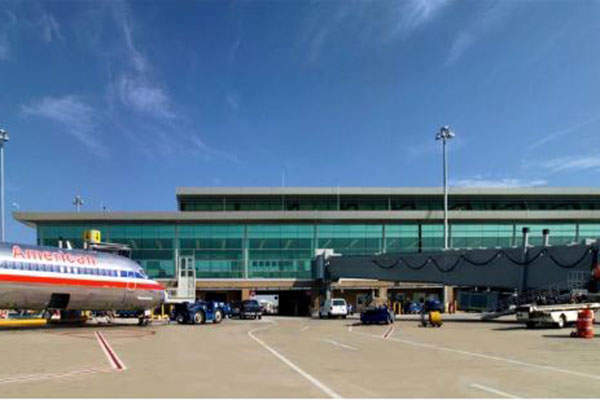 The Federal Aviation Administration (FAA) announced Will Rogers World Airport as an Outstanding Oklahoma Airport in 2010. Image: courtesy of Will Rogers World Airport. Will Rogers World Airport is one of three airports owned by the City of Oklahoma City, and operated by the Oklahoma City Airport Trust. The airport recently announced plans to expand its passenger terminal building, whose designs were approved by the Trust in September 2015. The terminal expansion project is necessitated by increasing passenger traffic, and the limited resources at the airport. The airport handled approximately 3.8 million passengers in 2013. It is being served by five major airlines, and reaches a total number of 22 non-stop destinations. The $86m expansion will be in accordance with global standards, and will enable the airport to attract new airlines, and introduce new destinations. Construction of the project is expected to be completed in 30 months, with commissioning scheduled for late-2018. The project will include renovations to the central portion of the terminal building, and expansion towards its east, where a new concourse will be constructed, with four new gates that will be expandable to six in the future. The expansion will bring with it new facilities such as ticket counters, baggage claim areas, and other passenger facilities, including lobbies, a military welcome centre, and additional concessions. It will also feature a public observation gallery, more shopping and dining facilities, and space for future international air service, and other high-tech facilities. The new concourse will provide a variety of seating options and passenger amenities. The expanded shopping and dining facilities will allow passengers to relax while waiting for their departure. The project also includes interior enhancements to the existing facilities, including expanded greeting areas and additional seating in the baggage claim area. A new larger, consolidated security checkpoint, with more pre-security and post-security spaces will be installed in accordance with Transportation Security Administration (TSA)’s guidelines. It will provide a streamlined process and easy access, thus significantly reducing checking time and allowing passengers to approach the gates quickly. 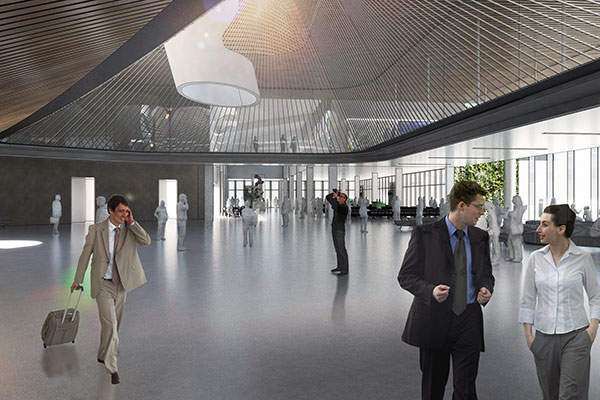 A public observation gallery, which is a suspended viewing deck located at the heart of the terminal, will provide views of the concourses, and the airfield, to the public. It will feature lounge space and exhibits, as well as providing one-of-a-kind views. 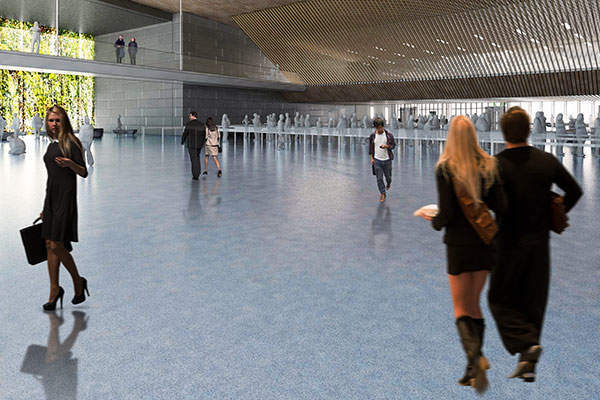 The design of the expansion will focus on integrating public art installations, and expansive windows and skylights to draw more natural light into the terminal. The $7.3m design contract for the expansion was awarded to Frankfurt-Short-Bruza Associates (FSB), a company based in Oklahoma, in January 2015. FSB partnered with HOK, a global architecture, engineering and planning firm for the design. The final drawings will be ready by the second quarter of 2016. "The project will be funded from a number of sources, including the Federal Airport Improvement Program." ADG, an architecture, engineering, interiors and programme management firm based in Oklahoma, will provide the owner’s representative services, through which it will oversee the entire design and construction of the project. The project will be funded from a number of sources, including the Federal Airport Improvement Program, passenger facility charges, and trust monies. A number of major projects are currently in progress at the airport, including the construction of a new consolidated rental car facility and a centralised checked baggage inspection system, which will be completed in 2015. Another long-term project in progress is Lariat Landing, which is a 1,000-acre green-field property designated for multi-use, multi-industry, business development.